Following the successful turnover in response to massive national survey of junior baseball players and coaches in Japan in 2015, conducted by Baseball Federation of Japan (BFJ), The Japanese Orthopaedic Association, and Bone and Joint Decade – Japan (BJDJ), embarked on a similar survey for two consecutive years, this time including Junior High School players（U-15） for the first time. Kazuhiro Tanabe, Secretary General of BJDJ, solicited cooperation to the representatives of Nippon Junior High School Physical Culture Association (rubber baseball) and the five associations (regular baseball) which are affiliated with Japan Amateur Baseball Association, a member of BFJ, through Middle School Baseball Conference (President Masaru USHIRO) in Tokyo on January 18, 2016. Tanabe revealed that 10,228 players and 527 coaches responded to the latest survey and its findings and recommendations should lead to useful guidelines to players, coaches and families. 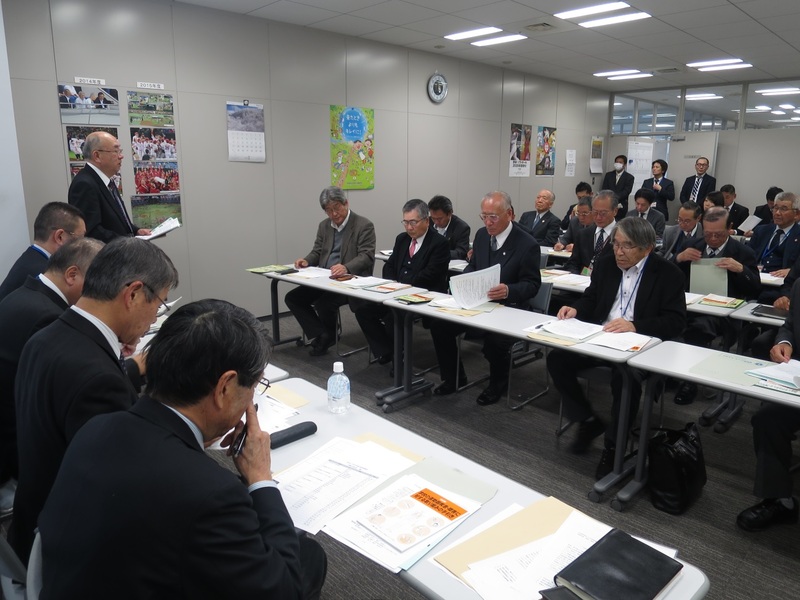 With the cooperation of the Japan Rubber Baseball Association and the Middle School Baseball Conference, BJDJ plans to distribute questionnaires in the second half of 2016 to 9,000 players and 470 coaches in the 47 prefectural regions throughout Japan and 2,000 players and 80 coaches playing with regular baseball.